No excuse. None has an excuse. The world’s view, false religions view, or “karma” : you get what you deserve. Christianity: Jesus got what you deserve. There is no sin or transgression, pain or sorrow, which is outside of the healing power of His, Jesus Christ the Lord’s atonement. No transgression exempted from the promise of complete forgiveness. That is the promise of the atonement of Jesus Christ the Lord. None have any excuse. Jesus Christ the Lord took upon Himself on the cross the sins, the pain, the sorrows, the transgressions of any and all who will turn to Him in faith, believe and become one of His, become one of His true disciples. The atonement accomplished by our Lord Jesus Christ on Calvary’s cross is the glory and centerpiece of the Christian Faith. God’s Son had come into the world, so he told us himself, to give his life a ransom for many. Paul confirmed to Timothy that Christ Jesus gave himself ‘a ransom for all’ (1 Timothy 2:6, Greek: antilutron huper panton). Paul wrote to the churches in Galatia, ‘May I never boast except in the cross of our Lord Jesus Christ’ (Galatians 6:14). He wrote to the church in Corinth, ‘I decided to know nothing among you except Jesus Christ and him crucified’ (1 Corinthians 2:2). The cross, that is the sin-bearing, sin-atoning, wrath-quenching, death-defeating, Satan-conquering work of Christ, was God’s ordained way to reconcile judgment-deserving sinners to himself, rescuing them from the ‘wages of sin’ which is eternal death (Romans 6:23). He bore our sins in his own body on the tree. This much every Bible-believing Christian believes and unceasingly blesses God for the love which spared not only his Son but gave him up for us all. But throughout the history of the church, Bible-believing Christians have differed in answering the question, For whom did Christ die? Many Christians maintain that Christ died for everyone, the finally saved and the finally unsaved. Other Christians are equally persuaded that Christ died not for everyone but for a definite number given to him by his Father, God’s elect. Both groups of Christians want to be faithful to God’s word. Both groups want to honour what Christ did on the cross. I should make it clear at the outset that I am writing as someone committed to what is often called ‘limited atonement’, that Christ died to save and reconcile to God a multitude no man can number, a multitude given to him by his Father, of whom he will lose not one. (Actually every Christian believes in a limited atonement. We either believe its intended design is limited, or that the number of people ultimately saved by Christ’s atonement is limited.) Why do I hold this conviction? I could point you to a number, a large number, of texts which specifically speak of the Lord Jesus giving his life for a specific group and number of people. However, my conviction regarding the specific extent of Christ’s atonement rests not on isolated texts, but, above all, on the nature of his death on the cross. Put simply, did Jesus Christ come to make atonement for sin, or did he come to make atonement for sin possible? By his sinless life and sin-atoning death, did Jesus make salvation potential and possible for everyone, or did he actually make atonement for sin, securing salvation for those he came to save? The answer to our question will be found by asking three related questions: Who was Jesus Christ? What did his death actually accomplish? How was the Holy Trinity involved in the work of salvation? For as by a man came death, by a man has come also the resurrection of the dead. For as in Adam all die, so also in Christ shall all be made alive. But each in his own order: Christ the firstfruits, then at his coming those who belong to Christ. Unless you are a universalist and believe in the salvation of the whole of humanity, denying in the process the Bible’s teaching on hell, the ‘all’ who are made alive in Christ are the ‘all’ of whom Christ is Head. Whose apron strings are you tied to? Alongside his representative or covenantal identify, it is the nature of Christ’s work on the cross that insists he died not for everyone everywhere, but for a definite and defined company of men, women, boys and girls. The Scriptures nowhere explain Christ’s death in terms of potentiality. God’s Son was not sent to make salvation possible, but to accomplish and secure salvation. Salvation is not completed when I believe; it was completed on Calvary’s bloody cross. Faith is not insignificant, but it not my faith that saves me. My faith receives the finished work of Christ, or better, receives Christ as the accomplisher of God’s salvation. This is the uniform teaching of the Bible. Reflect on these verses: Hebrews 1:3, ‘When he had made purification for sins…’; ‘You shall call his name Jesus, for he will save his people from their sins’ (Matthew 1:21); ‘The Lord laid on him the iniquity of us all’ (Isaiah 53-:6 — the whole chapter is worthy of careful reading): ‘God made him who had no sin to be sin for us, so that in him we might become the righteousness of God’ (2 Corinthians 5:21). The cry of triumph, ‘It is finished’ (John 19:30), signaled the perfection, not the potential, of Jesus’ sin-atoning death. None of this means that we are not to preach the gospel to everyone without exception. God commands everyone everywhere to repent (Acts 17:30). Jesus said, ‘Come to me, all who labour and are heavy laden, and I will give you rest. Take my yoke upon you, and learn from me, for I am gentle and lowly in heart, and you will find rest for your souls. For my yoke is easy, and my burden is light’ (Matthew 11:28-30). In this open-hearted appeal, Jesus is not defining conditions for coming to him, but stressing that everyone, no matter who or what they are, can come to him. We are not in a position to reconcile the truth of Christ making propitiation only for God’s elect, with the no less Biblical truth that we are to call, appeal to, and compel as we are able, the whole world to come to Christ and be saved. No more can we fathom the two foundational truths of the Christian faith, the Threeness and Oneness of God, and the mystery of the hypostatic union of the two natures in the one person of Jesus Christ. Christians are not rationalists, for ‘who has known the mind of the Lord?’ (Romans 11:33-36). 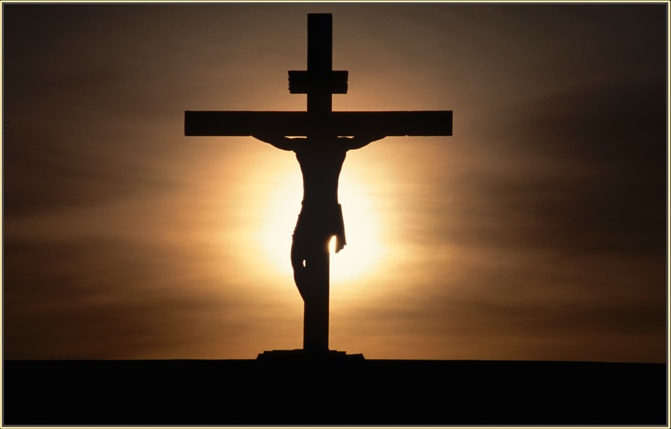 On the cross, our Saviour achieved, accomplished once and for all, the work of salvation. That salvation, or better, the Saviour himself, we are commanded to hold out and offer to everyone in the world, without exception. We do not offer Christ to awakened sinners, convicted sinners, burdened sinners; we offer Christ, in God’s name, to all sinners (2 Corinthians 5:19-20). One final question needs to be answered: What was the involvement of the Holy Trinity in Christ’s saving work? This is a huge problem for Christians who deny definite or limited atonement. if the Father sent his Son to save everyone, why did the Son not save everyone? If the Son gave himself on the cross to save everyone, why doe the Holy Spirit not bring everyone savingly to Christ? Are we to posit some kind of internal disjunction within the Holy Trinity? Never! Father, Son and Holy Spirit are one God and always act in complete and perfect harmony. If the Holy spirit does not apply Christ’s salvation to everyone it is only because this was not the will of the Father, not the intention of the Saviour. If you are tempted to reply, ‘But it is our unbelief that resists the Spirit, refuses the salvation won by the Saviour and frustrates the will of the Father’, you forget two things: Nothing and no one can frustrate God’s will, and unbelief was a sin Christ aid the price for on his cross. However, just as the Bible speaks more about the duty and necessity of faith than the grace of faith, so we must speak more about the glory and grace of the atonement than its divine design to save the elect — this was the apostolic method in preaching and teaching. Too often Reformed Christians have been more concerned to contend for the truth of limited atonement than to be known as men (usually men sadly) who glory in the cross of Christ and who speak of the atonement out of lives captivated by the wonder and inexplicable grace of that atonement. ‘We preach Christ crucified’ ought and must be the defining mark of a gospel minister. May it be so, for God’s glory, our people’s blessedness, and our own usefulness.